*Information contained herein provides general information related to the law and does not provide legal advice. It is recommended that readers consult their personal lawyer if they want legal advice. No attorney-client or confidential relationship exists or is formed between you and Ms. Gossett Parrish as a result of this article. Since Oklahomans legalized medical marijuana with the passage of State Question 788, the work and weed environment has become a gray area of the law. Litigation will arise out of the competing interests of employees with medical marijuana patient licenses and their employers, who have an interest in maintaining drug-free workplaces. 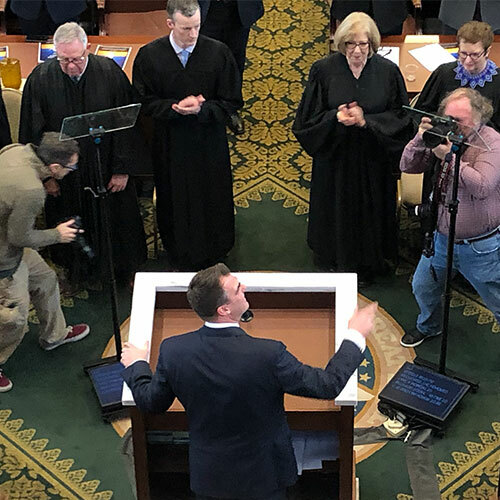 The resulting law will be a combination of statutory regulation by the Oklahoma Legislature and guidance provided by the opinions of the state’s judiciary. SQ 788 adds licensed medical marijuana patients to the list of specially protected employees against whom employers are prohibited from discriminating—in hiring, imposing any term or condition of employment, or otherwise penalizing based on status as a medical marijuana license holder or solely based on a positive test for the presence of marijuana or its components. That said, SQ 788 does not permit employees who have medical marijuana patient licenses to use or possess medical marijuana on the job, during work hours, or on an employer’s property. It does extend the same protections to medical marijuana patient employees that are afforded to patients who use opioids. The Oklahoma Standards for Workplace Drug and Alcohol Testing Act (ODTA) (outside this article’s scope), governs workplace testing. Suffice it to say that, if an Oklahoma employer implements a testing policy, it must comply with the ODTA, which has a plethora of requirements, including a minimum of 10 days notice to all employees of any new policy or changes to an existing one, prior to the policy’s effective date. SQ 788 does not limit an employer’s right to test any employee for the presence of marijuana. It does protect Patients from being fired solely on the basis that they have tested positive for marijuana. But if an employee who has tested positive for marijuana also has committed another workplace violation, an employer can terminate the employee without violating the protections of SQ 788. Since marijuana remains illegal under federal law, if an employer is federally regulated or would imminently lose a federal monetary or licensing-related benefit, then SQ 788 compliance would seemingly be excused. By far the majority of Oklahoma workers are at-will employees (absent employment contract provisions, contrary language implicit in an employee handbook, or public policy exceptions) who can be fired for good cause, for no cause, or even for a cause that is morally wrong, without an employer incurring liability. Thus, most Oklahoma employers can still maintain no-tolerance drug policies, firing any employee who tests positive or reports to work under the influence of any drug. So What’s the Take-Away on Weed and the Workplace? Oklahoma medical marijuana patient licensees should check with their employers to ensure that they are in compliance with the rules, regulations, policies, and procedures of their particular workplace because, at least for now, Oklahoma’s work and weed environment is a gray area of the law.